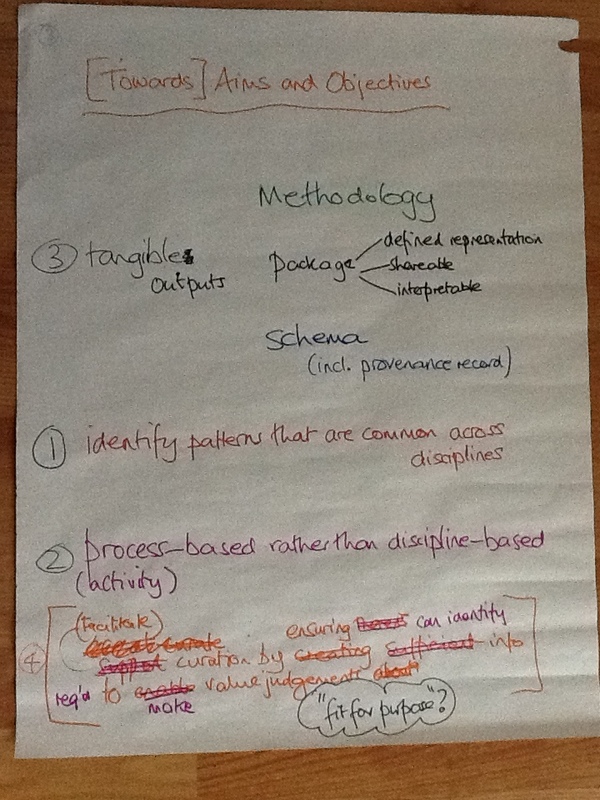 As we are nearing the end of Phase 2 of the Research Data Spring initiative, we focused on our deliverables and on planning for Sandpit 3, particularly what we would hope to achieve in Phase 3. 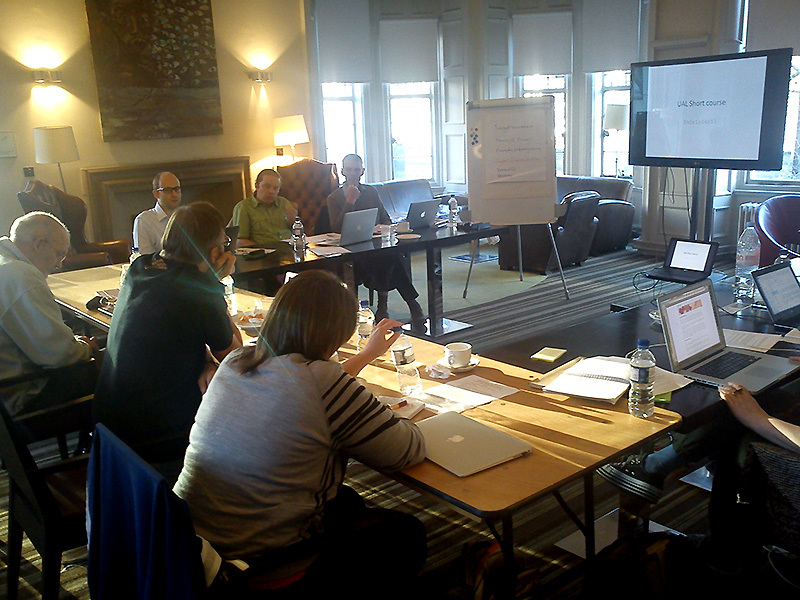 We were very pleased to welcome Daniela Duca from Jisc to this meeting. The structural framework outline and the scoping report that we had proposed as Phase 2 deliverables, which we decided to replace with the framework for a single document that would be supplemented by navigation pages. These pages would effectively identify the potential coverage of the project by providing an overview of the guidelines from a specific perspective, which also associates the information with its target audiences. We might also produce technical documents, possibly as publications, for example, dealing with issues relating to provenance. We covered a broad range of issues relating to the content and the presentation of both the final deliverable and the interim structural framework outline, which will be one of our Phase 2 deliverables. Naturally, we are interested in expanding the scope of disciplines that are interested in, and able to exploit, the active use of metadata. We propose to develop this interest by evaluating and exploiting examples from other disciplines and also by endeavouring to identify and establish ‘concrete’ communities with common interests. We are very aware that, in addition to guidelines and exemplars, we need “material deliverables”, so we appraised a range of options. Some of these are already in hand, for example, our glossary, which we are actively considering moving over to a wiki. 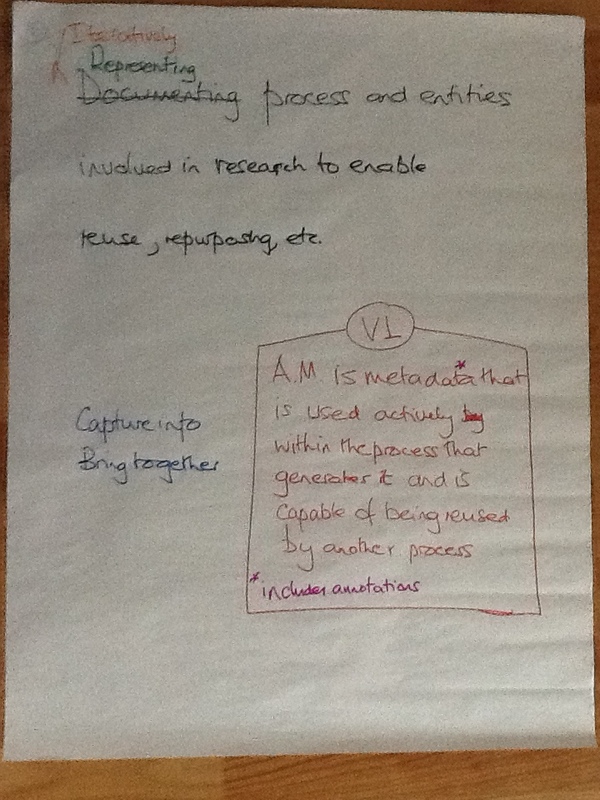 We are also evaluating the feasibility of a system that would empower people to capture metadata (and data) and compare their active use with that of other researchers. 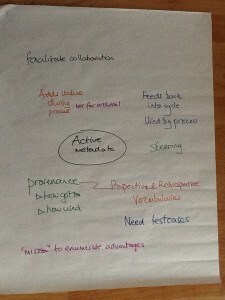 Following a preview of Sandpit 3 from Daniela, we considered our approach to establishing what our “material deliverables” should be. In the near future, we will be holding a team teleconference call to determine our plan. As with our previous meetings, we assembled an Action list, which will be our basis for managing the CREAM project between this meeting and Sandpit 3. Our long-term goal is to create guidelines and exemplars to demonstrate how the active use of metadata can make research more effective, agile and timely for researchers. 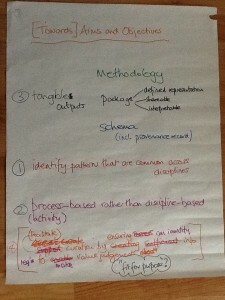 During Phase 2 of the CREAM project, we aim to produce a structural framework on which to base the guidelines, capturing our understanding of the scope of active metadata usage, ranging from large-scale experimental science through environmental and laboratory-based sciences to sound arts practice. 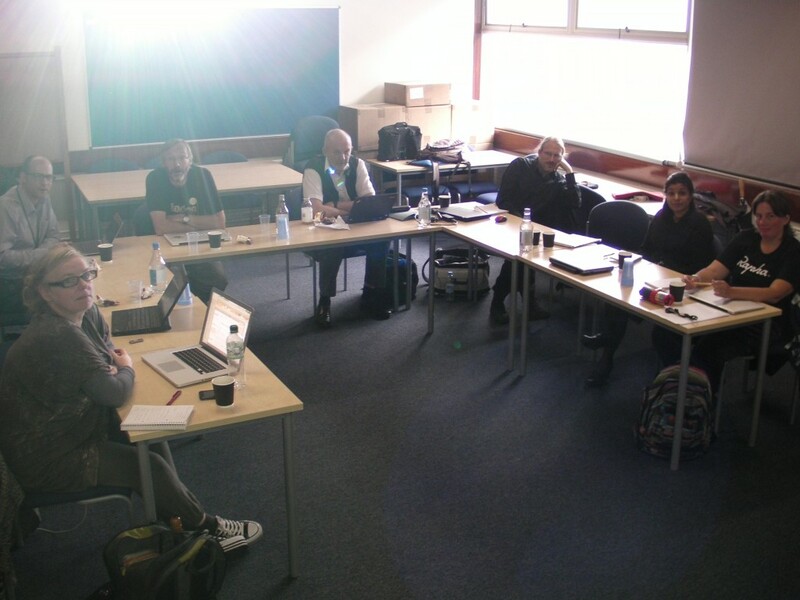 The working group that we formed with the specific aim of developing the structural framework – the “Docs group” – met at the London College of Communication, University of the Arts London on Thursday 22nd October. We began with an open discussion of our progress to date: understanding the concept of active use of metadata; our IDCC16 submissions; Annalist modelling; motivations for active use, noting that we should put more emphasis on reproducibility than we have thus far; promoting the culture of learning from experience, noting that failed experiments can be as important as those that succeed. Although it could be invidious to single out specific points, the two considerations that most prominently informed our subsequent planning were: (a) the importance of visual representations; and (b) emphasising the decision points and the underlying motivations. Accordingly, we developed a visual plan, comprising eight areas that we will evolve individually or working in pairs. Our intention is to have a working document for discussion at our next meeting, which is scheduled for Friday 13th November, so that the structural framework can be complete and published on the CREAM website by the end of Phase 2. 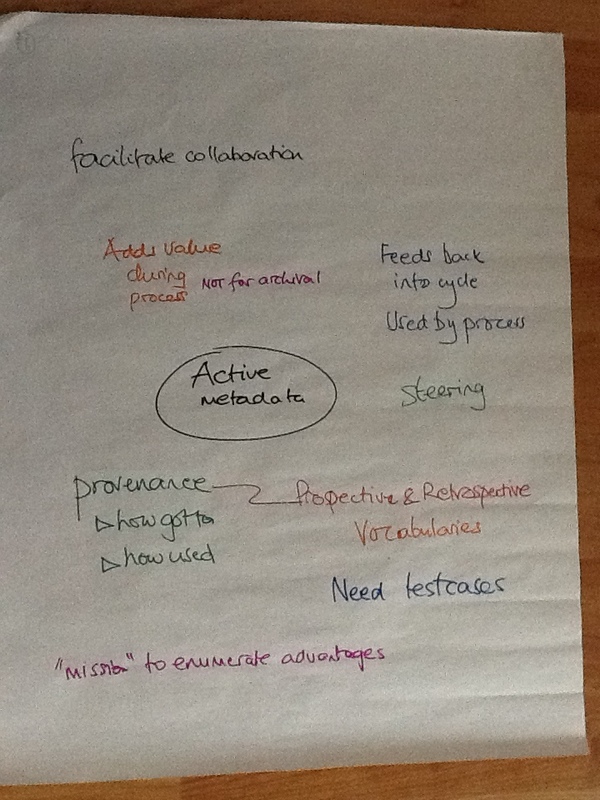 How research into better tools for capturing processes, particularly in the context of digital laboratory notebooks, can help with discerning the [active] use of metadata, using Annalist to model exemplars of the kinds of chemical science that we do. Our guest speaker, Varsha Khodiyar, Data Curation Editor, Scientific Data, Nature Publishing Group, described for us how she is making the data published by Nature more useful. The Scientific Data template is based on the ISA-tab format for metadata, which Varsha wants to make more user-friendly. 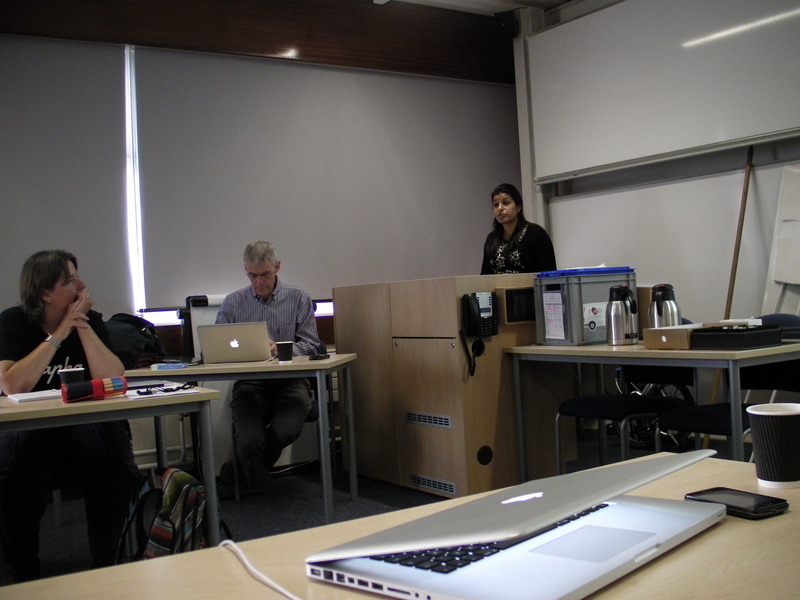 Varsha stated that data/metadata needs to be collected/curated at the time of doing the experiment, a remark that resonated with the scientists, particularly those from Southampton. Scientists are not used to capturing information in a structured way, so Varsha often has to extract information (metadata) from the publication, but she is willing to invest time to make datasets more discoverable. We reviewed a timeline of our Phase 2 activities and generated an Action List, which also includes not only what we need to do to meet our three milestones but also our activities related to dissemination and growing the network. Our next meeting will be at the University of the Arts, London, on Friday 13 November. 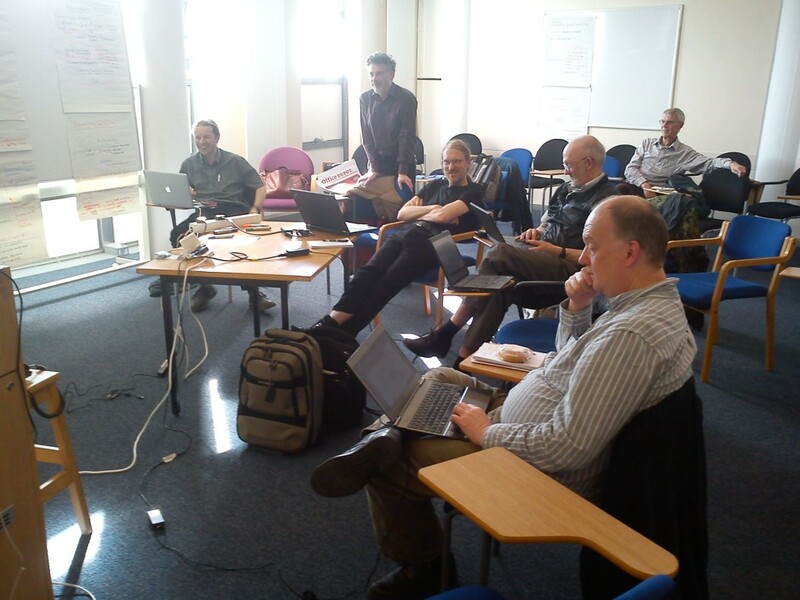 Six members of the CREAM team attended this event: Simon, Mike, Graham, Thanasis, Tom, and Colin. Simon not only presented our case for further funded but was also interviewed for the video that Jisc is making about the event. Taking an optimistic view, we also took the opportunity to discuss and plan our future activities. (6) To begin preparations for the second sandpit. By the end of the meeting, we had made notable progress towards all six aims, the essence of which was subsequently incorporated into the CREAM Project Plan (for Phase 1). 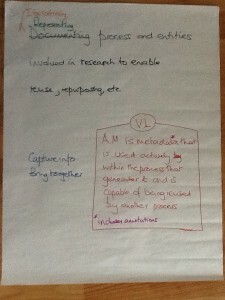 As the primary goal of the CREAM project is to communicate this understanding and produce guidance and exemplars to enable the enhancement of research by using metadata actively, we will continue throughout the life of the project to develop and disseminate the concept of active use of metadata.